I spoke with a land-slide specialist in Iceland. He told me a story that took place near Vatsdall, part of a chain of mountains that no one can explain. They look like they have been dropped from the sky - hundreds of perfectly formed cones of debris. Problem is - nothing is near them, nothing could have caused the debris to fall that way and nobody knows how they formed. There are several versions of the story from different areas in the country. He told me one. 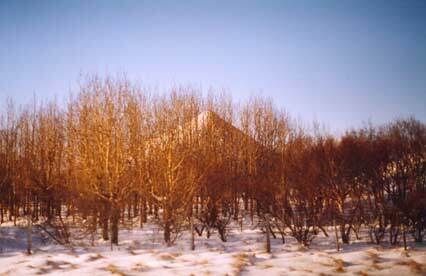 A girl lived on a farm at the foot of Vatsdall Mountain. She was known as the girl who looked after the ravens. In the winter, when the freshkill was hidden under blankets of snow, she saved them scraps of meat from the table and fed them until the thaw in Spring. One day many ravens appeared outside her window. They seemed starving, squa-ing and causing a ruckus so she brought them out some food. They circled her, about to take the scraps and then flew away. She followed them. Again, they circled her and seemed ravenous, but would not take the food from her hand, flying farther and farther away from the farm. She followed them until they reached a place on higher ground. At that moment the farm was covered by a landslide.The girl was the only one to survive. They say the ravens saved her for her kindness to them each year. They are using this story to study the history of landslides in Iceland, establishing patterns of catastrophe in the past to anticipate where and when it might happen in the future. They have carried out excavations in each place the story originated, and in every instance, they have found the remains of a once active farm.